The city of Santa Fe possesses a long, rich history that spans more than a millennium, changing hands over and over until finding itself to be one of the premier travel destinations in the United States, drawing worldwide attention for its vibrant arts scene, historical significance, and incredible natural beauty. The earliest known permanent human habitation of Santa Fe came sometime after 900 A.D., when it became home to a group of Pueblo Native Americans. This first village, called Ogapoge, was founded primarily for the life-giving access to the Santa Fe River. Information regarding this period is understandably sparse, but the heart of the settlement sat near what is currently the modern central plaza. The second Spanish governor of New Mexico founded a new city to serve as the new provincial capital, and, in 1610, La Villa Real de la Santa Fe de San Francisco de Asís became a permanent European settlement. The city stood through the Pueblo Revolt and the Mexican War of Independence, the Texan Secession, and more until it was formally ceded to the United States in the Treaty of Guadalupe Hidalgo in 1848. It remained a relatively small city, not even located on a major railway, until New Mexico was made an official state in 1912. As a part of it’s newfound status as a capital city of a state in the United States of America, the city created an ambitious plan to develop Santa Fe into a vibrant and modern community with international appeal. Since then, Santa Fe has grown into a rich cultural, artistic, recreational, and historical hotspot for tourists from all over the globe. 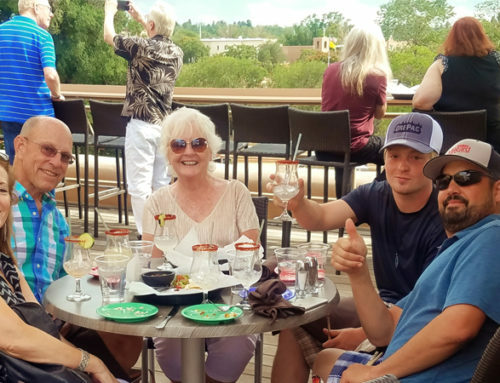 Below is a brief introduction to some of Santa Fe’s signature attractions, all reasons you will want to make the City Different your next travel destination. Santa Fe is built in the old Spanish style, centered around a central plaza that was designed by colonial governors as a gathering place and cultural center (and also military stronghold, though that isn’t as relevant in the modern era). 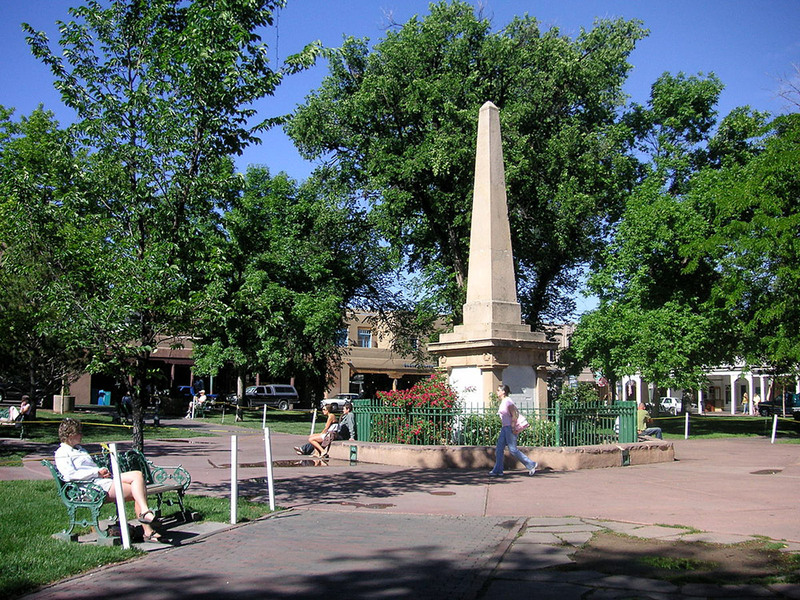 This plaza is surrounded by many of the oldest, most important, most beautiful buildings in Santa Fe. Structures like the Palace of Governors, which happens to be the oldest public building in the oldest state capital in the country, the inspiringly gorgeous Cathedral Basilica of Saint Francis of Assisi, the stunning architectural treasure of Loretto Chapel, and the more modern New Mexico Museum of Art. All Seasons Resort Lodging’s own Fort Marcy Hotel Suites is located just four blocks from the historic plaza. In addition to these historical structures, Santa Fe features a strong pueblo and territorial architectural influences, stemming from a 1912 stylistic mandate to construct new buildings in the traditional style. By 1957, a city ordinance put the practice into law. As a result, you will probably never visit a town with a more unified architectural aesthetic than Santa Fe. The warm, rich, earthy tones blend beautifully into the southwestern scenery, creating a sense that the whole town is simply carved from the terrain—an extension of the desert itself. One of Santa Fe’s primary attractions is the rich art scene that encompasses so much of the city’s identity. 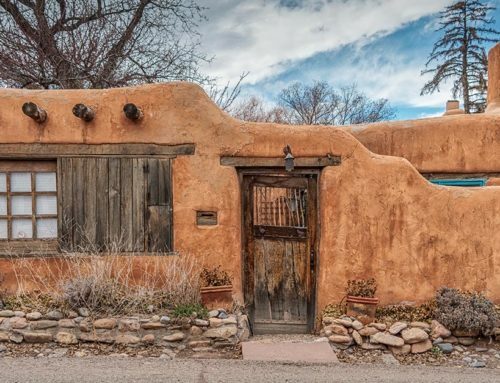 Artists initially began to choose Santa Fe for their residence as a result of the gorgeous surroundings, deep cultural history, and out-of-the-way peace the town enjoyed as a result of being off the main rail line. The initial artistic boom continued, inspiring new talent and paving the way for Santa Fe as the artistic mecca it currently is. One of Santa Fe’s most famous artists, Georgia O’Keeffe, serves as the eponymous inspiration for one of Santa Fe’s best-known galleries. While not a full-time resident of Santa Fe, O’Keeffe was very fond of the area, and frequently drew inspiration from the local terrain, flora, and fauna. The museum is often cited as a must-see attraction. That isn’t to say that Georgia O’keeffe is the only thing Santa Fe’s art scene has to offer. Near the plaza itself, Canyon Road features an incredible density of galleries featuring a wide array of styles, traditions, and inspirations. In recent years, an art collective called Meow Wolf received backing from Game of Thrones author George R. R. Martin to open a large and impressive installation space entitled “House of Eternal Return.” Travelers could spend days visiting the many and varied galleries in town before exhausting the available supply of rich artistic talent on display in Santa Fe. 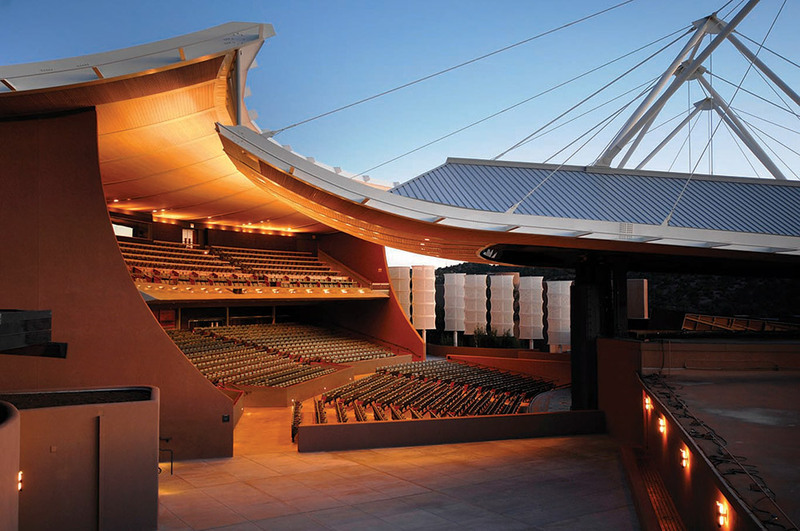 For those more interested in auditory art to accompany their visual spectacle, the Santa Fe Opera is a fantastic destination. Despite being fully covered, the opera house is actually an open-air venue that plays host to some of the finest performances in the country. Visitors can enjoy all the majesty of the desert backdrop along with a meal and wine while taking in a variety of shows. The plaza in the center of town hosts dozens of amazing events every year, with even more going on in venues all over town. Some of the most notable events are the annual markets, grand bazaars full of artisan goods, handicrafts, and more, and the big festivals that fill the streets with celebrants, revelers, and attendees. 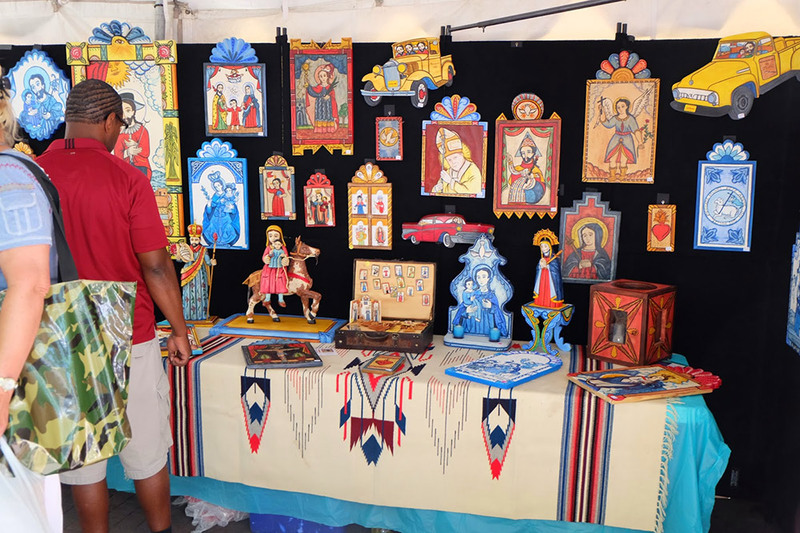 Both the Indian Market and the Spanish Market bring Santa Fe’s rich cultural history to the forefront with days of traditional crafts, art, food, music, dance, costume, and excitement in the middle of the summer months. For a more unusual and esoteric festival, the annual burning of the massive Zozobra effigy, or “Old Man Gloom”, sets the stage for the beginning of winter. This 50-foot model began as a humble neighborhood project in 1924, and has since become one of Santa Fe’s most distinctive festivals, drawing enormous crowds to celebrate every year. For the foodie, the Santa Fe Wine and Chile Fiesta spans five days of intense culinary prowess. Dozens of Santa Fe’s finest restaurants and nearly one hundred national wineries showcase their talents culminating in the grand tasting at the Santa Fe Opera—a massive celebration in which all participants offer samples of their best food and wine. 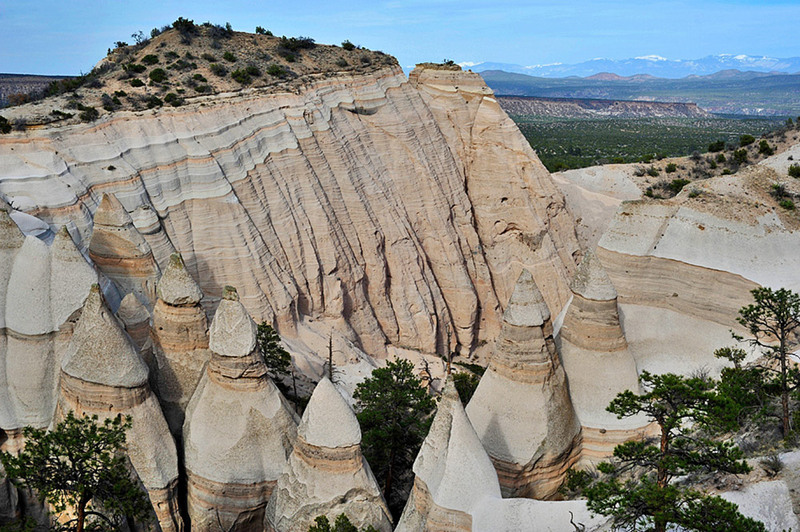 Outside the city itself, Santa Fe is close to an amazing variety of year-round outdoor activities. Despite the desert setting, Santa Fe actually boasts an impressive ski area, Ski Santa Fe, with plenty of powder to enjoy during the winter months. During warmer weather, the surrounding countryside is covered in picturesque trails for mountain biking and hiking. The cliffs and mountains surrounding Santa Fe are perfect for a bit of rock climbing or bouldering. For something more relaxing, golf makes an excellent way to enjoy the warm weather and serene vistas without as much rigorous exercise. There are even rafting adventures and fishing expeditions to enjoy, for those who enjoy aquatic amusements.